Ouch! The response is always the same to the sharp, sudden surprise of a paper cut. The body responds quickly to the tear in the skin and sends resources for protection. An abundant enzyme in the blood, thrombin, causes changes in other blood proteins to produce a gel like substance that forms the clot. It’s what causes the bleeding to stop and is the first stage of wound healing. Thrombin is abundant in the blood and increases in the central nervous system with injury. If the body experiences trauma from a stroke, for example, this first responders rush in and start repairing the damage. While the enzyme, called thrombin, helps heal small cuts, it may cause problems when the body brings in the heavy hitters of healing: Stem cells. Stem cells are a type of cell in the body that can become another cell. When damaged tissue needs to be replaced or expanded due to growth, stem cells expand or multiply to get it done. 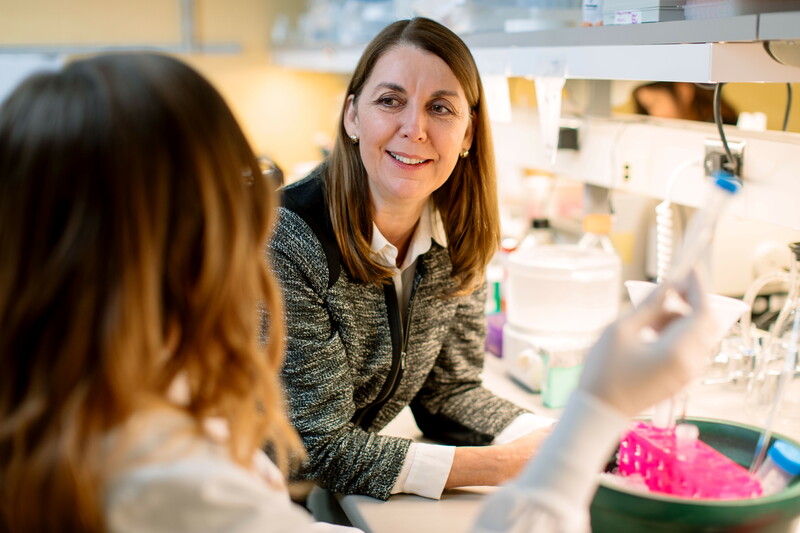 “What we discovered is that thrombin activates a receptor on stem cells that actually blocks their ability to expand,” says discovery science researcher Isobel Scarisbrick, Ph.D.
That means that when thrombin attaches to a stem cell, it is effectively turned off. So why does this happen? Thrombin is a regulator. It attaches to a cell membrane through a receptor called PAR1, and sends signals about the environment surrounding the cell. It is signaling information about what to do and what not to do, depending on the situation. 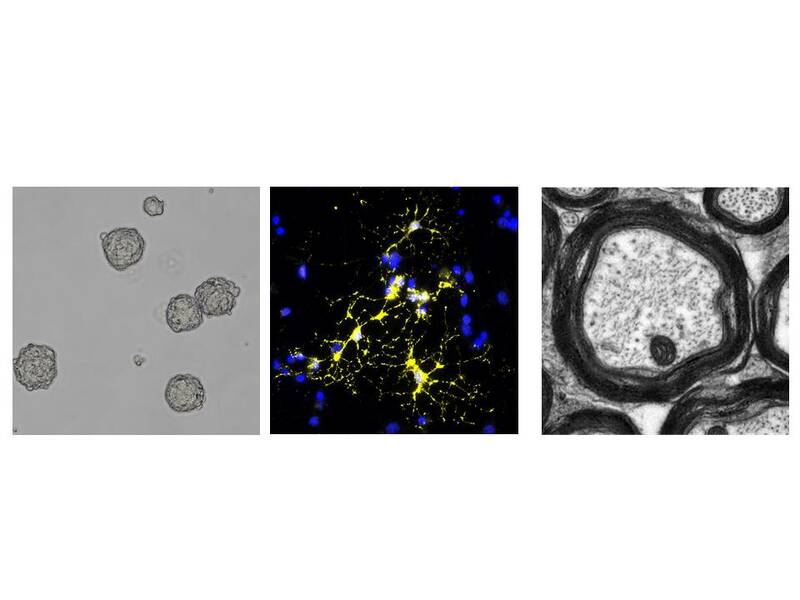 The thrombin receptor PAR1 is a newly identified fundamental regulator of stem cell biology. Dr. Scarisbrick explains that this information allows her team to look for ways the body can heal vital structures from within. 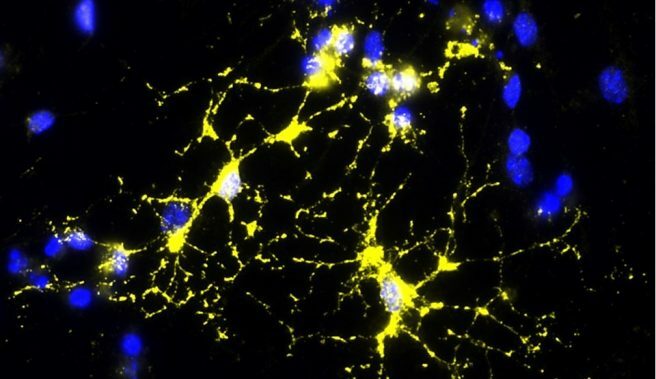 “It’s a new discovery that this common receptor plays a fundamental role in the biology of the human brain, and an important role in stem cell expansion and myelin production,” she says. Dr. Scarisbrick and her research team are looking at the biology of how receptors regulate neural stem cells in the brain, the spinal cord, and the protective myelin sheath. Myelin is a covering of the nerve cells that accelerates transmission of impulses, or instructions from the central nervous system, along the electrical cables knowns as axons. These impulses can slow or stop when the myelin sheath is damaged. Myelin regeneration occurs naturally in the body and there are many factors involved. On the cell wall is a receptor that allows a protein such as a growth factor, cytokine or even an enzyme such as thrombin to come along and attach to it and start sending out instructive signals for the cell to respond to. Dr. Scarisbrick’s team has evidence in mouse models that when the thrombin receptor is switched off there is more of the myelin protein present at birth and even higher levels in adulthood. There is also evidence of better recovery after spinal cord injury. In the adult mouse brain is a reservoir of neural stem cells that can differentiate into any cell type in the brain. These are the cells that migrate out to repair the area of myelin degeneration from stoke or other injury. “The research shows that animals that do not have this receptor have an endogenous capacity to generate more stem cells,” she says. Dr. Scarisbrick says she is particularly excited about this work because it is not often a research team can target just one factor and have such a big impact. This research was funded by the Center for Regenerative Medicine. You can read more about the latest in regenerative medicine on the Center’s blog.